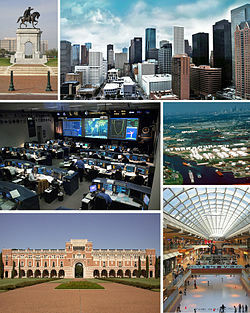 ↑ "US Census Bureau Population Finder: Houston city, TX". factfinder.census.gov. สืบค้นเมื่อ 2006-02-22. ↑ "Population Estimates for the 25 Largest U.S. Cities based on July 1, 2006 Population Estimates" (PDF). www.census.gov. สืบค้นเมื่อ 2007-06-28. ↑ "NCDC: U.S. Climate Normals" (PDF). National Oceanic and Atmospheric Administration. สืบค้นเมื่อ 2010-04-22. ↑ "Climatological Normals of Houston". Hong Kong Observatory. สืบค้นเมื่อ 2010-05-11.